2016 Chevrolet Malibu Officially Priced In The U.S.
Wallace Chevrolet > Chevrolet > 2016 Chevrolet Malibu Officially Priced In The U.S.
– even it’s pricing reflects the brand’s drive to create a clear-cut segment topper. Revealed just hours ago, Chevrolet has officially priced the 2016 Malibu starting at $22,500 (all prices in USD) for the base L trim level, undercutting its direct rivals like the Nissan Altima, Honda Accord, Toyota Camry and Ford Fusion. And at that price the Malibu still comes packed with a great assortment of standard features like a turbocharged 1.5L engine with stop/start technology, ten airbags, cruise control, and a push-button start feature with passive entry. 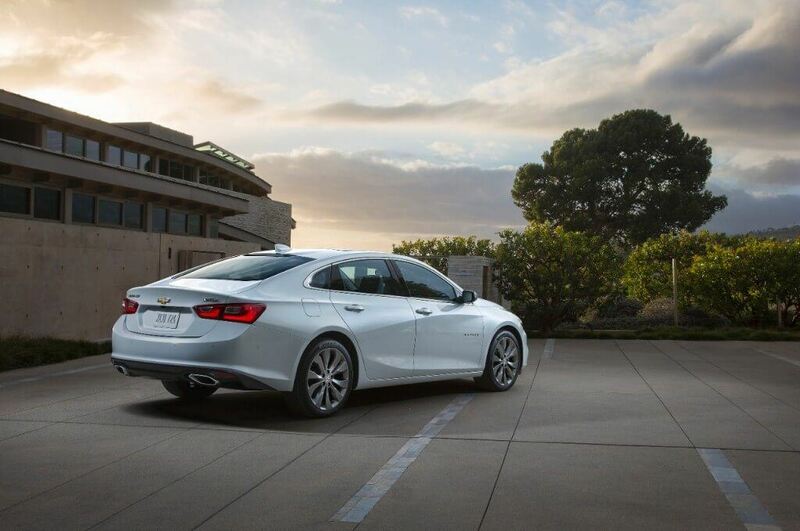 The new Malibu has been completely restyled and rethought. Here we see the cars’ fastback roof and restyled rear end. Lay down an extra $1,495 for the LS model and you’ll be treated to a huge assortment of goodies like a seven-inch Chevrolet MyLink touchscreen infotainment system with Apple CarPlay and Android Auto, and a rear view camera. The Malibu is also available in LT guise for $25,895, and in that trim buyers can also step up to the turbocharged 2.0L four-cylinder engine with eight-speed automatic transmission for $29,495. Filling out the range is the Premier model, where you’ll get all the latest tech like Lane Keep Assist, Low Speed Front Automatic Braking, Front Pedestrian Braking, and a new Teen Driver Mode for just $31,795. It comes paired exclusively with the 2.0L turbo engine. Chevrolet has not yet released pricing for the hybrid model. While Chevrolet has yet to release official Canadian pricing for the Malibu, it’s newly released U.S. pricing is a sure sign it will be priced very competitively. Stay tuned for more!